Caption slip reads: "Photographer: Rustan. Date: 1958-01-14. Reporter: Dunn. Assignment: Skiatron Pay TV. 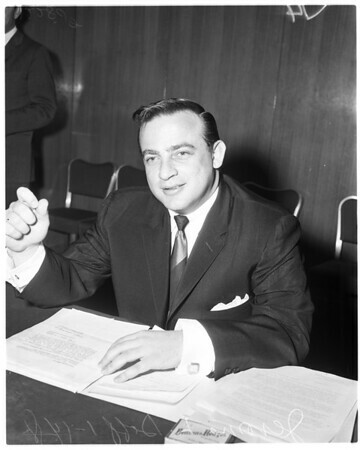 3/4/43/44: Jerome L. Doff, Vice President of Operations, Skiatron Pay-TV. Withdrawal affidavit for those who want to withdraw their names from referendum".